A man charged with manslaughter and aggravated drunken driving in connection with a fatal accident last summer that killed his girlfriend was arrested Sunday at his father’s home and charged with violating his bail conditions after allegedly using alcohol and marijuana. 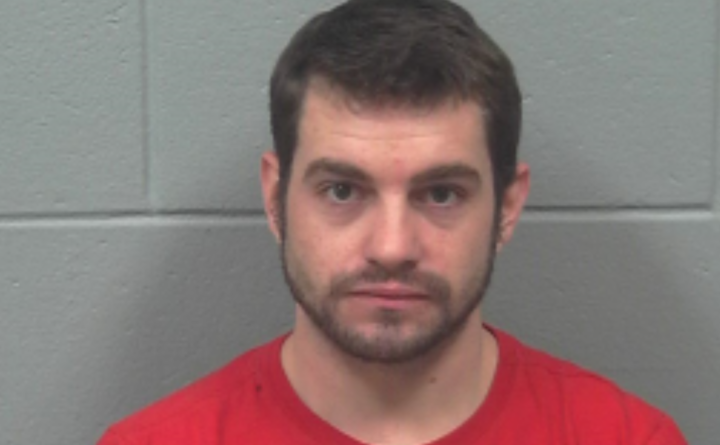 Merrill H. Muncey III, 33, formerly of Pembroke was charged with violating the conditions of his release on $1,000 cash bail. Conditions included no use of alcohol, marijuana or other drugs. Muncey was driving a 2003 GMC Sierra pickup truck on Route 9, also known as the Airline, when it drifted onto the shoulder a few minutes after 1:30 a.m. June 11, 2018, the Hancock County Sheriff’s Office said at the time. Muncey overcorrected, causing the truck to skid, roll over and come to rest on its wheels on the side of the road in Township 28, which is east of Aurora. Tonya R. Leach, 37, of Patten, died as a result of injuries she suffered in the accident. Muncey had been staying with his father in Holden while his case is pending. The Holden police on Saturday went to that home to determine if Muncey was complying with the conditions of his bail. He was issued a summons for violating conditions of his release for allegedly consuming alcohol, Holden Police Chief Chris Greeley said. An officer returned Sunday, when Muncey allegedly tested positive for the use of marijuana. Muncey was arrested and taken to the Penobscot County Jail in Bangor, where he remained late Monday. Muncey appeared Monday before Superior Court Justice Ann Murray on a motion to revoke his bail, filed by the Hancock County district attorney’s office, and the violation of condition of release charges. He denied violating his bail conditions. The judge denied bail on the motion to revoke his bail and set a hearing on that matter for April 8. Munsey is due in court again May 13 on the bail violation. If convicted, Muncey faces up to 30 years in prison and a $50,000 fine on the manslaughter charge, and up to five years in prison and a $5,000 fine on the charge of aggravated operating under the influence of intoxicants. He faces up to six months in jail and a fine of $1,000 on the bail violations charge.